Authorities are investigating an officer-involved shooting that took place at a Visalia mall on Thursday evening. 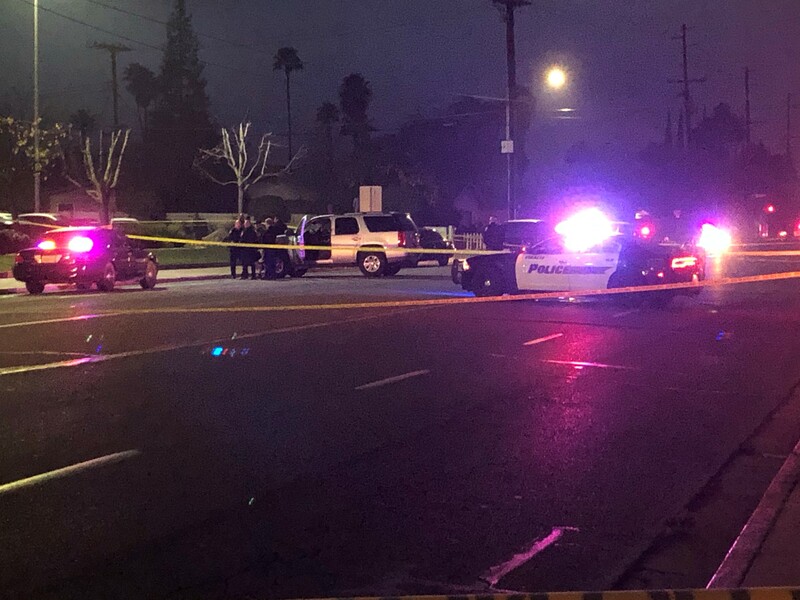 VISALIA, Calif. (KFSN) -- UPDATE: The Visalia Police Department has identified the suspect injured in an officer-involved shooting as Richard Sylvester Garcia, 36. Police say he has been booked into the Tulare County Jail on two counts of assault with a deadly weapon on a police officer, felon in possession of a firearm and possession of stolen property. The Visalia Police Department has identified the suspect injured in an officer-involved shooting as Richard Sylvester Garcia, 36. An officer-involved shooting took place at the Visalia Mall on Thursday. Police said the man was driving a stolen vehicle and was armed with a handgun. Visalia police had been looking for the man all day and they finally tracked him down to the mall, and surrounded his car with their vehicles in the parking lot. When they asked him to come out of the vehicle, he refused to cooperate and put his car in reverse, backing it up towards officers standing behind him - which is when they fired, Visalia Police Chief Jason Salazar said. He described the suspect as a 36-year-old Hispanic male. The suspect was taken into custody and is recovering at a hospital, Salazar said. Pictures of the scene showed several police cars parked outside the mall and the area taped off for investigation. The entrance to a large JC Penney store at the mall was closed but other entrances were open.